3 Tips for baby-soft silky smooth hands! MY BLOGS » 3 Tips For Soft Silky Smooth Hands and it’s not just for women! Hello, Dyan here (The Health Coach Is In) to share with you my 3 top super, simple tips for helping you get soft, smooth hands, so you can put your best 'hands' forward! I'm talking about your hands because your hands all to often get a bad rap, don't you think? We treat our faces like Cinderella and our hands like her ugly step-sisters! But if you think about it, our hands do all the hard work! Way more than our faces. We use our hands all day, everyday, to cook, to clean, to write, to type, to drive, to eat, to do practically everything and then sadly, we get home and give them a quick wash with some generic soap. SO LET'S STOP YOUR HANDS FROM CRYING OUT FOR MORE TLC! First, in case you are wondering I want you to know that I would not recommend this if I hadn't first tried it myself and on my family and friends. So this worked for everyone to achieve soft, silky-smooth hands, even rugged 'big boy' hands. And now you can do this simple routine for yourself! 1. A good quality gentle exfoliator that is good enough for you to use on your face! 2. A good quality additive-free high SPF (30+) sunscreen also good enough for your face! 3. A jar or bottle of cocoa butter, coconut oil or almond oil to set on your bedside table! When You Wake Up in the morning and wash your face with your gentle exfoliator, apply it to your hands and give them a good rub and massage including your fingers and the cuticles around your nails. Before leaving the house, when you need to apply sunscreen to your face, apply it to your hands too, especially to the top part that gets the most sun exposure. Before bed, repeat the same application with your gentle exfoliator on your hands as you did in the morning. In bed, reach over to your bottle of cocoa butter, coconut oil or almond oil and apply a small dab to your hands, massaging them all over. (Remember oil is oily, so be careful not to stain your pretty little sheets). Wait until your skin has absorbed all the hydrating butter or oil before snuggling in your cozy bed. It's really that simple. And I guarantee you that in just a few weeks you will marvel at the difference this makes to your hands and in no time you will be sharing these 3 tips with your friends & family! It's time you gave your hands the tender love and care they deserve for all the hard work they do day in and day out, don't you think? And don't you think it's time to give yourself a gift of nutrition, too? If so, grab my 'FREE' list of 30-Yummy Healthy Super-Quick Balanced Snacks? Start boosting your energy, improving your mood and just feel awesome, today! Learn how to transform your old worn-out behaviors (that never served you) into fresh new healthy ones; one habit change at a time. 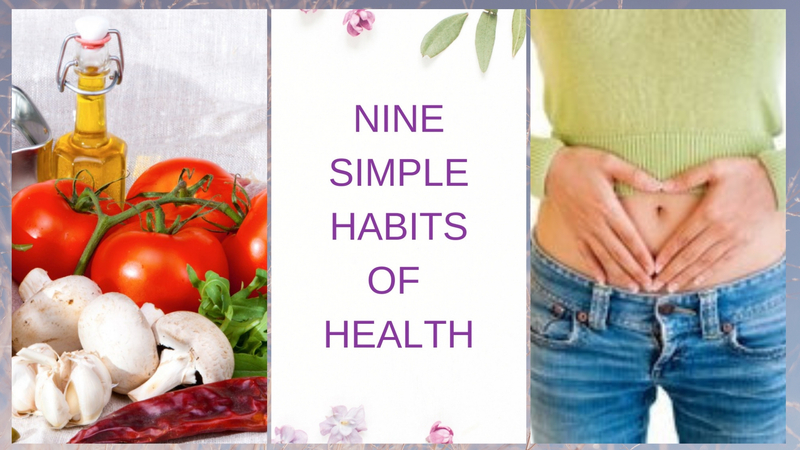 Healthy new habits that soon will take no fore-thought, be entirely natural and automatic and stick with you for the rest of your fabulous life! What are some of the ways you take care of your hard working hands? Let me know how these 3 easy steps (to softer hands) worked for you?